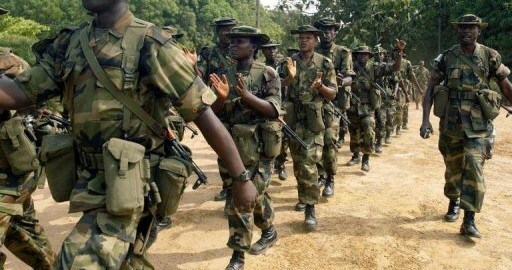 Nigeria - An anti-terrorism group, the North East Coalition Against Terrorism (NECAT) has said that to stop the defeated Boko Haram terrorists from raising funds to finance recruitment of unsuspecting Nigerians to swell their already depleted ranks, security agencies must beam their search light on politicians and high ranking individuals who have shown sympathy towards the terrorists. Addressing a press conference in Abuja, NECAT National Co-ordinator, Yusuf Msheliza said, going after those it described as politically exposed persons that have been proven to have links with terrorists especially those that were harbouring Boko Haram fugitives that are on the run is the right thing to do to prevent the group from regrouping. He said though the fleeing terrorists have carried out surprise attacks, but Nigerians are aware that the army has won the war. He said, “we are pleased to report that we are not in any way disappointed with the turn of events since that defeat first made headlines. The expected fallout from that defeat was that the remnants of the terror group would try staging surprise attacks even as they are on the run all in the effort to present a picture of not being defeated. He said, “We hail the Nigerian Army for arresting these politically exposed persons who aid the activities of terrorists in the country. Our earnest expectations is that they will soon be charged to court under anti-terror laws if found culpable. He said though the army has so far been able to nab local government level politicians but from information available in the public space previously, the searchlight would have to beam on politicians at the state level, who had openly disclosed their association with Boko Haram in the past. He however appealed to the security agencies that in going after these political Boko Haram members, no distinction should be made on account of past or present political affiliations, ethnic background or religious subscription. According to him, “The paramount consideration is the safety and integrity of Nigeria. Such distinctions should not be extended to these key actors that have been involved in arms purchases, raising of funds to finance terrorism and recruitment of unsuspecting Nigerians to swell the rank of insurgents especially whenever they are decimated the Nigerian Army.